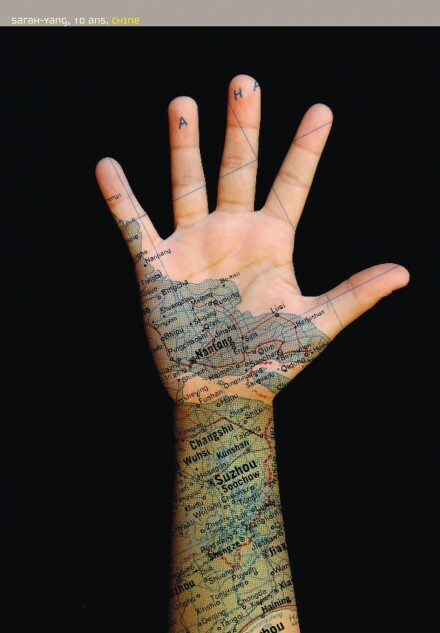 A hand, a map, a story: In each of 30 photographs made by Céline Boyer, a cartographic fragment of someone’s country of origin is projected onto the subject’s own hand. Cities, seas, rivers, roads and borders are glimpsed. A hand, a map, a story. Thirty unknown people, of diverse nationalities and backgrounds, hav left their native land: Algeria, Vietnam, Senegal, Russia, Argentina, Salvador, Armenia, Iraq. In each of the 30 photographs, made by Céline Boyer, a cartographic fragment of their country of origin is projected onto the subject’s own hand: Cities, seas, rivers, roads and borders are glimpsed. These images are accompanied by short texts. The hands’ owners share their memories, hopes, and fears. They speak of ancestors, roots and culture, of unfinished personal journeys. By connecting the uniqueness of a person, and a place, each subject engages our attention without becoming an object of ethnographic curiosity. The Other becomes a person. 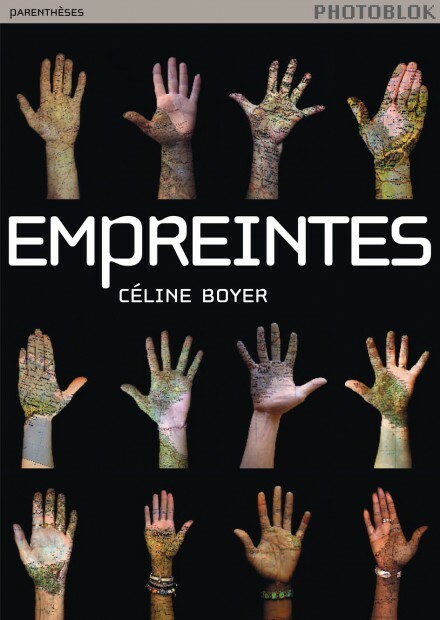 Empreintes, by Céline Boyer, published by Parenthèses. (It’s in French, but someone should publish it in English). This entry was posted in art & perception, city & bioregion. Bookmark the permalink. Post a comment or leave a trackback: Trackback URL.